I was originally going to title this post “breaking radio silence”, but after a bit, “Saying Goodbye” made a bit more sense. Fin and I have been really quiet on here – because we’ve undertaken one of the largest projects of our married lives – Getting the F*#@ out of suburbia. While the move was going on, we decided to not post or discuss it in public, and there’s been very little else going on for the past year. It’s been years in the making, but we finally moved. We’re now living on the outskirts of a smaller town, just close enough to our old city for me to commute. I went back through this blog, looking to form a couple pictures to compare the old house when we were active and hopeful to the house we just left. I’m amazed to see the massive, unmistakable shift in our lives that happened in 2014. One of the reasons I’ve kept this blog has been to archive our story. In 2013, and toward the start of 2014 – we had worked hard on moving that old house into a better state. Not long before, Fin’s dad came over and painted – we had the roof replaced, and we finally were doing ok financially. The Garden in that old house has always told the story of our families mood. When Fin and I were doing well – it was doing well. And now, it’s a blank slate. 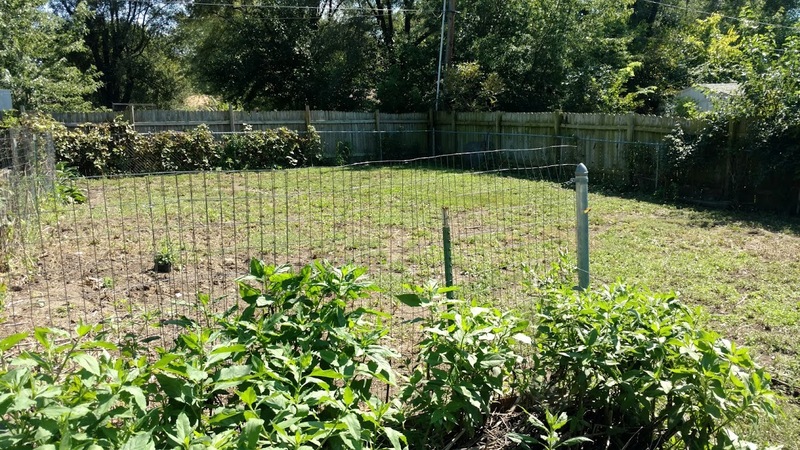 Ready to be turned back into a garden again by the next homeowner – or perhaps, tilled and laid over with new sod. It’s no longer our choice or business. At the new property – there is acreage, waiting for us to decide what we want to do. We’ve got a barn and shop – and lots of extra space for nerd projects. Plenty of room to have a garden, and space for Fin and I to actually stretch out and have a couple guests over. So many chapters are closing now, but new ones have started. I suspect that I’ll be a bit busier posting now that we’re talking about what’s going on again. A new chapter, and hopefully, a new tone for the blog. But, it’s not without a bit of sadness – I have memories of that house and many positive. It’s tough to say goodbye, but without goodbyes, we’d never advance. And with that, I bid ye adieu old house. May someone find it a wonderful home and bring back the positive energy Fin and I had there before cancer and depression hit so hard. And with that, I turn the mic back on, and hope to post again soon.